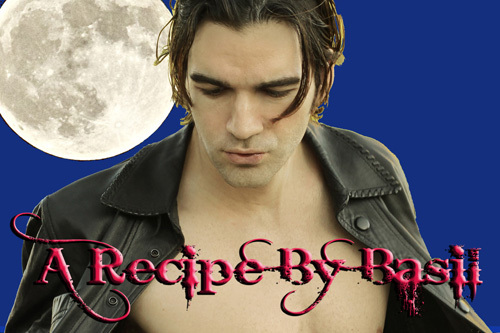 In The Caretaker of Showman’s Hill, my vampire hero, Basil Wensilton III supplements his feedings with borscht. Of course, Cassie Briggs doesn’t like it since it reminds her of blood, but that is exactly why Basil likes the dish so much. I’ll let him tell you how to make it. Basil? 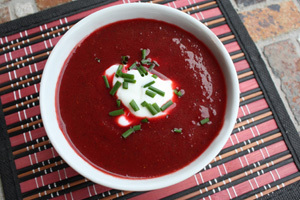 Basil: Yes, I like my borscht, Elizabeth. And I was lucky enough to find my cook, Helga’s recipe, because when Cassie tried to make it for me she put in a lot of garlic, and you know how vampires have an aversion to garlic. However, lately, Cassie has talked me into trying garlic, and I guess it’s not as deadly as I thought. So here’s the recipe with garlic added in. Add that to soup and stir in and cook a little. Then add a few splashes of balsamic vinegar – the secret ingredient. Put back in pot and simmer and keep stirring til the mixture gets a little thicker. 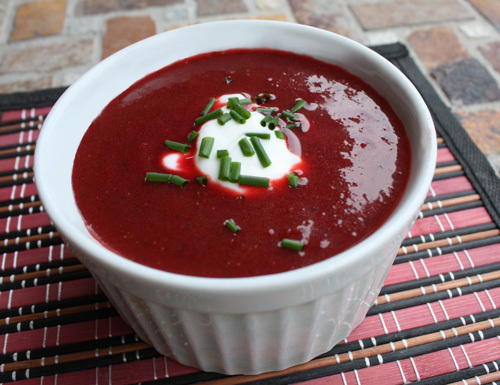 Then spoon into bowl and top off with a little sour cream and chopped chives or fresh basil – the herb basil, not me. Or you can just drink it like I do! 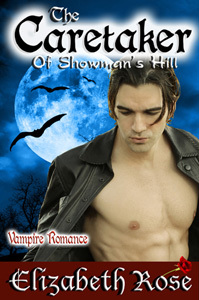 (Watch Caretaker book trailer) Click on book cover to read excerpts or buy now.